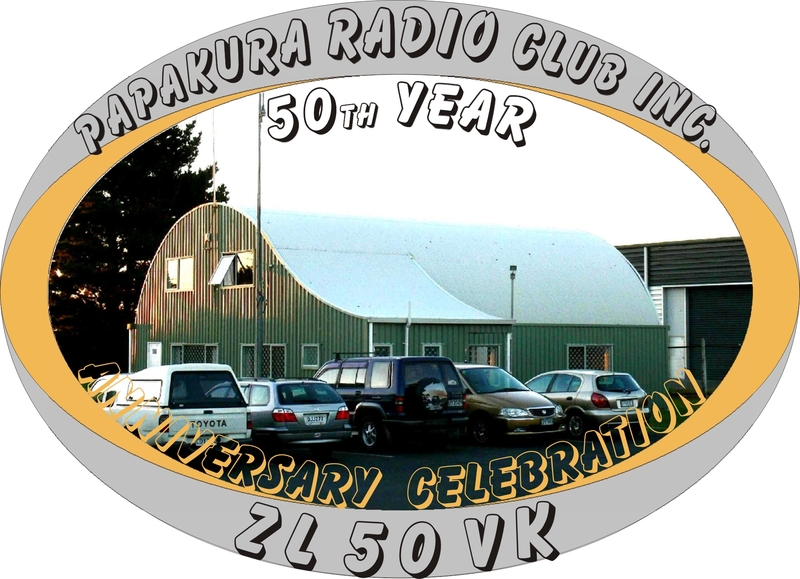 The Papakura Radio Club history makes very interesting reading and the club has been established in the Papakura central area since 1960. Inauguration 30.11.1960 The Inaugural meeting of the Papakura Radio Club was held at Mr.H.B Passau's building at 8.00 pm on November 30th. 1960. The meeting was opened by the then national President of New Zealand Association of Radio Transmitters, (N.Z.A.R.T. ), Gordon McB. Salt. After a short address by the President, he called for nominations for Officers of the proposed Club. i.e. a total of 17 local members and the N.Z.A.R.T.. National President. Subscriptions: These were set at 10 shillings for full members, and five shillings for primary and secondary school pupils not holding transmitting licence. Meetings: A decision was made to hold meetings on the second Wednesday of each month, commencing at 7.30 pm. Official Function: An official function to celebrate the founding of the new Papakura Radio Club was held in the Manchester Unity Hall (now renamed "Papakura Senior Citizens' Hall") on ebruary 8th.,1961. His Worship the Mayor of Papakura, Mr. I.C. Mack opened the meeting and wished the Branch every success in the future. In the absence of the National President of N.Z.A.R.T., Mr. J Freeman, the Immediate Past President welcomed the new branch to the Association. Other speakers were Mr. A. Allen, M.P. for Franklin, and the Head Master of Papakura High School, Mr. A.J Campbell, who congratulated those members of the branch who had conducted the very successful night classes at the school in the previous year. Mr. Campbell offered to place the full facilities of the High School at the Club's disposal for the Radio Theory classes to be held during 1961. The President of the Franklin Branch, N.Z.A.R.T., Mr. B.F. Barnard, presented the fledgling branch with a Gavel as a reminder of the happy associations enjoyed by those who had previously belonged to the Franklin Branch, and which now had assisted in the formation of the Papakura Branch. Radio Classes: Prior to, and ever since, the inception of the Papakura Radio Club, classes in radio Theory and Morse had been held over the years on a regular basis. Assistance is still offered in the learning process and the multi choice exams are now available on nearly an as required basis at the clubrooms which assists candidates through their Amateur Radio Operator examinations. Many of the present members of the Club owe their success to the more knowledgeable members who have given so much of their time to coaching students. The high examination pass rate speaks well for this section of the Club's activities. Meeting locations: Except for the official function held in the Manchester Unity Hall on February 8th 1961, monthly meetings were held In Mr. M. Passau's building until October 3rd 1962, on which date the meetings were moved to the Girl Guides' Hall. This hall was made available subsequent to the help in its erection given by members of the Papakura Radio Club. The rninutes of the Committee meeting held on April 1st 1962 include a proposal to provide and install the electrical wiring. The minutes of the Club's monthly meeting, held on June 6th., 1962, mention arrangements for the use of the GIrl Guides' Hall, those of the meeting of August 1st 1962 mention agreement to use, and arrangements to complete the wiring. At the meeting held on October 3rd 1962, Mr. M. Passau reported that the cost of wiring the Girl Guides' Hall was under Seventeen Pounds, and it was moved that letters of thanks be sent to the electricians who had donated materials. Clubrooms: In 1972 movement was afoot to provide the Radio Club with its own premises. In the first branch circular for 1973, it was announced by Mr. Roy Needham, ZL1XG, that a site had been granted by the Papakura City Council on their land at the end of Wood St. for the Club Roorns. Finance having been assured by club members, and a floor plan approved by the Committee, it only awaited the Club's official approval of the project before the detailed plans were submitted to the appropriate authority. Building starts: On Saturday, September 1st 1973, the concrete floor and footings were poured. The new clubrooms were first used on March 15th 1974. Extensions to the Clubrooms were proposed in 1978, and were built using voluntary labour from the members. These extensions were completed in 1979. Since their completion, the clubrooms have been used for a wide variety of activities: an Art Group, a Yoga class, the Garden Club, dancing groups, a Maori social club, Camera club, and for many varied social and business purposes. The Club has received grants from the Sport and Recreation Fund on three occasions: the first grant was to assist in the building of the original clubrooms, the second helped in building the extensions to the clubrooms, and the most recent was a grant toward the purchase of 60 new comfortable padded chairs. AREC Section: Amateur Radio Emergency Corns (A.R.E.C.). At the monthly meeting of the Club held on September 13th 1961, the Club President, Hilton McFarlane, ZL1AKW, asked for a show of hands of those interested in forming an A.R.E.C. Sec-tion. At the monthly meeting on October 11th 1961, notice was given that a meeting would be held in the Clubrooms on Tuesday October 17th to form an A.R.E.C. section. Present at this meeting were ZL1AKW, ZL1AHO, ZL1AWQ and ZL1AKX; apologies were received from ZL1AWN and ZL1AVU. It was resolved that Council of N.Z.A.R.T. be approached for permission to form a Section at Papakura, and at 7.30 PM. on December 20th 1961 the first I official meeting of the newly constituted A.R.E.C. Section was held at M. Passau' s Buildings. Also present were: ZLIAWQ, ZL1AXV, ZL1ADU and Errol Davis. Since the A.R.E.C. section was formed, there have been annual practice sessions involving members in simulated Civil Defence communications exercises, and Search and Rescue exercises held in conjunction with the Police and Tramping clubs. Over the years the Club's A.R.E.C. section has cooperated with the organisers of St. John Ambulance, various car rail les, the local "Run-for-Fun", cycle racing, and the "Iron Man compe-tition. More serious activities for the A.R.E.C. section have in-cluded assisting in many searches for lost trampers, Girl Guides, and aircraft; more recently members rendered assistance during the floods at Te Aroha and the Post Office link to Whangarei. Finale: From this original group of 17 enthusiasts, the club has continued to grow, now boasting a membership of 85; the roll includes 15 lady members, or whom 11 are licensed amateurs. As a result our club is the N.Z.A.R.T. branch with the highest propor-tion of lady members.